In this fictional narrative, Holly wants to paint. Explanatory text and a tight picture-text correlation will allow readers to learn domain-specific vocabulary. 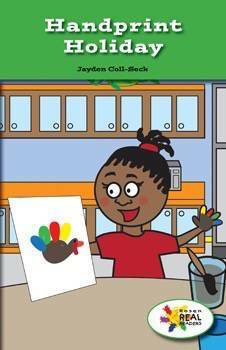 Readers will follow along as Holly paints her fingers and makes a turkey from her handprint! This fiction title is paired with the nonfiction title We Make Art for Christmas.